It feels like Christmas and New Year passed me by in a flash and now I'm back in work and in full swing planning what needs to be done in 2017. The end of the year was very busy and tiring for me, it is always a busy time in the industry I work in so I spent most of my December in leggings and drinking loads of coffee. I'm feeling refreshed after my break over the festive period and fancied making an effort for work and looking a bit more professional as we have a few new starters in the office this week. I wore a Studio8 maroon jersey dress for the first day back to work in the new year. It has a faux-wrap front with a V-neckline and short sleeves and is the perfect work appropriate length. Studio 8 is the plus size sister brand of Phase 8 and has the same sense of quality and elegance. They launched in 2015 and the range is currently available in sizes 16-26. This dress is currently in the sale at House of Fraser and makes a great staple item in any workwear wardrobe. Hayley looks amazing in her fringed Studio8 dress which you can see for yourself here. I'm hoping to expand my workwear collection this year and create a nice little capsule wardrobe. In my previous job in the library I dressed like a student and the work could be pretty manual so clothing was casual. I wasn't really prepared for the switch to an office environment so a few carefully selected smart dresses and pairs of shoes will give me some more options on weekdays. I hope the first week of 2017 hasn't been too taxing for you. I'm heading to Oxford this weekend for a wander around and trying to make the most of my weekend, if you have any recommendations for things to do in the city please let me know in the comments below. Oh my! What a beautiful kitty! I am such a cat lady. Like Martin, I use to feed all the strays (and neighbourhood cats) where I use to live, I'd end up with about 8 or 9 cats sitting waiting some days! Haha. I have two of my own now, one of which adopted me! 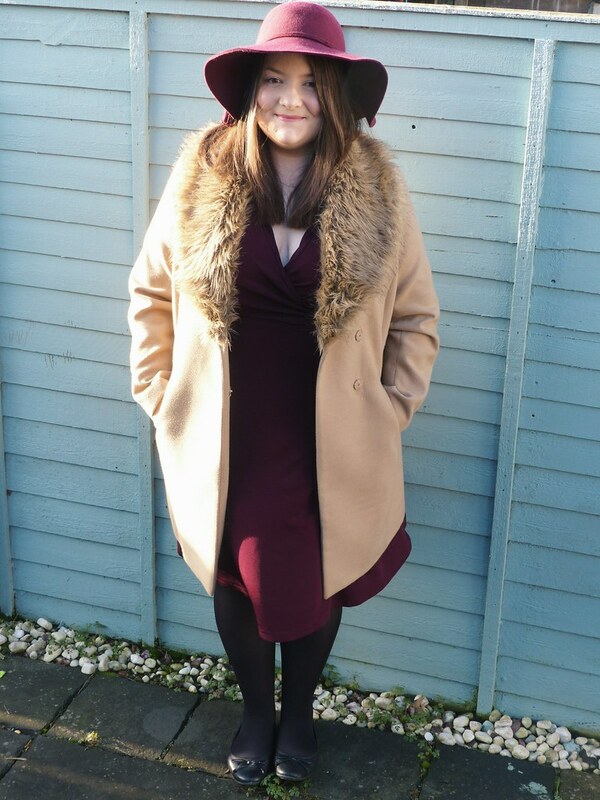 I love the dress a lot, the maroon colour is beautiful and it suits you perfectly, also love the hat and the shoes! You look amazing! I absolutely love your dress & hat! I love that dress on you, the colour is great and really suits you! 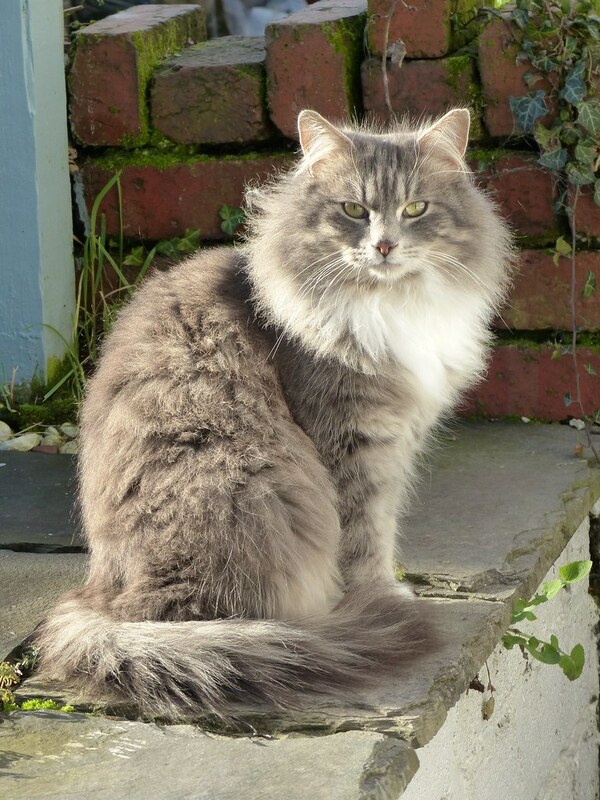 Your cat friend is so pretty, I would be so happy if I had a garden full of cats! I love the colour of your dress. I really love autumnal colours. Happy new year! Love this outfit on you, that colour is stunning!